SAME DAY COLLECTION AVAILABLE FROM DUBLIN 10 PLEASE CALL FOR DETAILS. 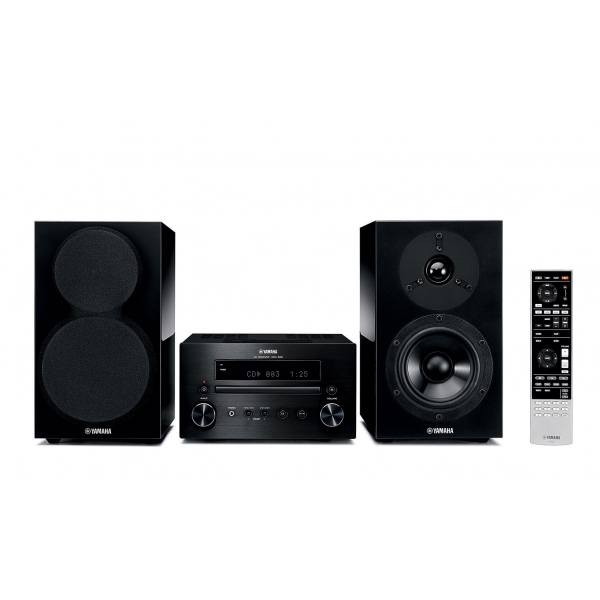 The new space saving micro system combining the CRX-550, a 32W receiver designed with the characteristic care and attention expected of Yamaha, and the new NSBP 300 speakers finished in a stylish piano black. Asides it’s impressive 32W amplifier, the receiver boasts CD player, digital iPod input, USB memory stick music playback support and a high-grade Burr-Brown DAC for high quality audio. The audio signal path is painstakingly laid out to be as short as possible, greatly reducing the chance of interference, and Yamaha’s "Music Enhancer" restores data lost during MP3 and WMA compression, so music is heard in its original dynamic state. Bit data expansion increases CD 16-bit data to 24 bits, achieving more natural and detailed sound. The perfect system if you’re short of space but can’t compromise on quality. 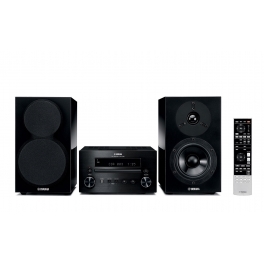 • CD Receiver uses finest quality parts, including custom made block capacitors, high-precision Burr-Brown DAC, large speaker terminals. • iPod digital connection for superior audio performance. • Advanced signal processing: Music Enhancer and bit data expansion. • 32W x 2 low-distortion power. • 2-way bass-reflex speakers, sound tuning performed in Europe. • New cabinet design for extra-powerful bass output. • DAB (Band III)/DAB+ tuning. • High performance CD Player (plays MP3, WMA), FM tuner and USB performance. • USB port on top panel. • Mini jack input on rear panel.